Italian Talmudist of the sixteenth century. He was a member of an illustrious family of Italian rabbis who came originally from Provence in the south of France. 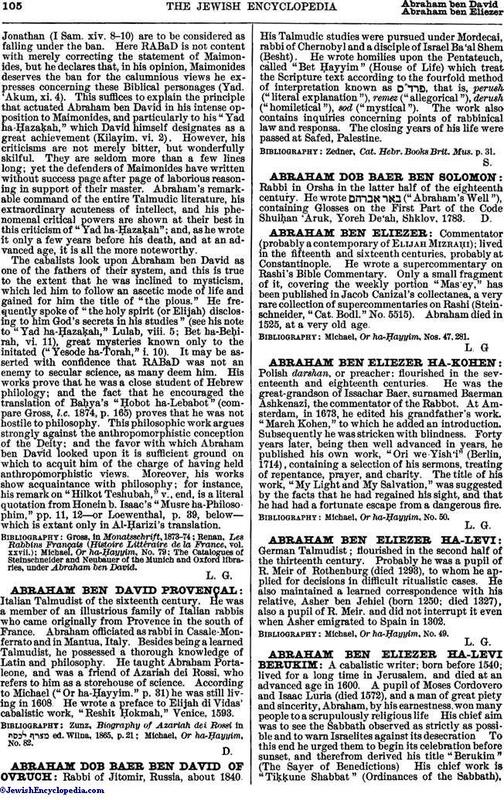 Abraham officiated as rabbi in Casale-Monferrato and in Mantua, Italy. Besides being a learned Talmudist, he possessed a thorough knowledge of Latin and philosophy. He taught Abraham Portaleone, and was a friend of Azariah dei Rossi, who refers to him as a storehouse of science. According to Michael ("Or ha-Ḥayyim." p. 31) he was still living in 1608. He wrote a preface to Elijah di Vidas' cabalistic work, "Reshit Ḥokmah," Venice, 1593. Michael, Or ha-Ḥayyim, No. 82.